Best known for over 50 years of bringing skincare products to women, Dove has launched a new line of products just for the guys, called Dove Men+Care. Dove celebrates the men who are comfortable venturing into the skincare world. Dove chose a great venue to launch the product, too, doing extensive ad-buys during the Superbowl. My husband sat up and took notice of that. 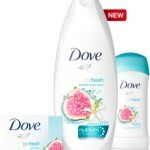 I enlisted his help in trying out the new Dove Men+Care line. 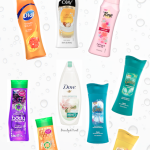 The Dove Men+Care line includes three products–the Men+Care Body and Face Wash, Men+Care Body and Face Bar and the Active Clean Shower Tool, which acts as a skin buffer. The Men+Care Body and Face Wash comes in three scents, while the Face Bar comes in two. 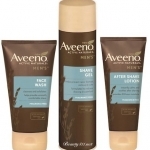 The line was developed with technology that helps to keep guys moisturized, but without irritation. My husband has been pleasantly surprised by the Dove Men+Care line. 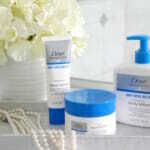 His favorite product has been the Men+Care Body and Face Wash in the Clean Comfort scent. He likes it because it cleans well–even after workouts, smells fresh and keeps his skin feeling comfortable. And let's face it–he likes it because the fragrance is designed to appeal to a guy. But seriously, if it didn't perform, I'd have known about it right away. 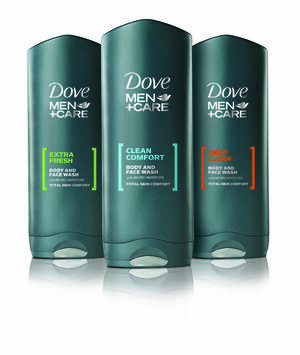 The Dove Men+Care line is available at mass market retailers nationwide.